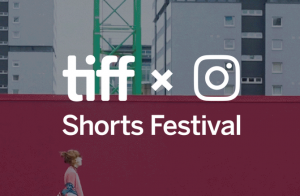 TIFF joins forces with Instagram to present the TIFFxInstagram Shorts Festival, a digital shorts competition that invites aspiring and established filmmakers from around the globe to share their original 60-second-or-less short films. A total of 30 finalists will be selected and highlighted on TIFF’s Instagram channel between July 10 and 18 before the jury selects a winner for the Jury’s Choice Award. Last year’s jury included Lake Bell, Isabelle Huppert, John C Jay, Karan Johar, Ashton Sanders, and Director X. In addition, a Fan Favourite Award will be presented to the entrant film with the most likes on Instagram. Submissions open Tuesday, May 29, 2018, and close Monday, June 18 at 11:59pm EST. This entry was posted on Wednesday, May 23rd, 2018 at 7:56 am	and is filed under News. You can follow any responses to this entry through the RSS 2.0 feed.